This is one where I’m pretty happy with the arrangement itself; it was fun to write and good to play through. What kept me from releasing it on here is the horrible recording quality. Perhaps it was just because I didn’t realize it with my other two arrangement/recordings, but the fidelity of my recording nears Tiger Woods territory. My tone, which I can assure you (with just a hint of hubris) is considered quite good by many standards, comes of as closed and tinny in the recording. The bari, in particular, sounds rather hollow and brash. Just a notice. In other production notes, this arrangement required a good deal more virtuosity on my part than my other ones. It also put less emphasis on the main melody line and uses your knowledge of the source material to try and offer some different ideas. In many instances I voiced the chords so that a harmonized line was the highest and most noticeable phrase,which I think sounds good only given that you know what the original sounds like. All in all, fairly content with this, but given the chance, I’d rerecord it in a heartbeat with better equipment. Also, please take this time to listen to my previous two arrangements if you haven’t already: “Bouken Desho Desho?” and “Hare Hare Yukai”. Thanks! I’d love to hear any and all comments and criticisms. 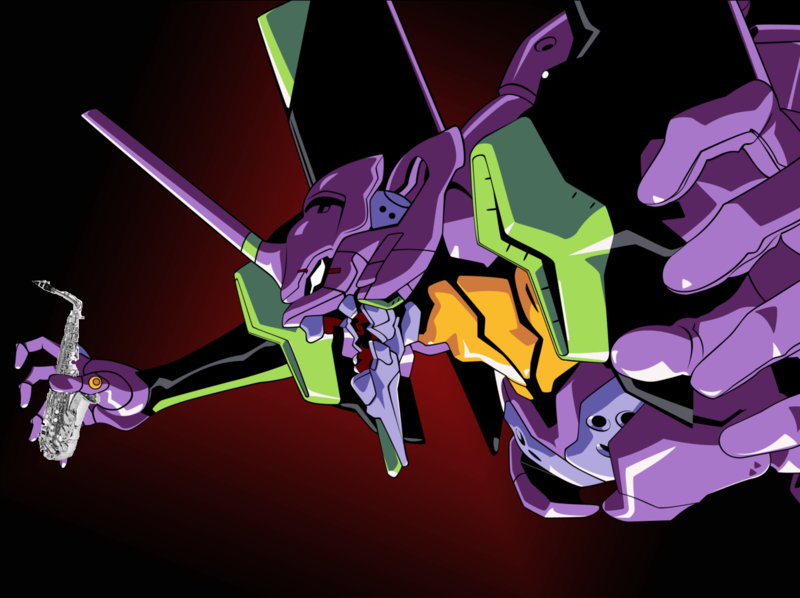 A huge jazz nerd and unabashed fan of alternative rock, I joined Anime Instrumentality in December 2010. I tend to get very passionate when it comes to music and try my best to understand how it works. An enormous fan of The Pillows, among my favorite anime composers include Ko Otani and Yoko Kanno. My tastes in anime vary wildly, but I try to be as thoughtful about my viewing as I am about my listening. I play the saxophone. BTW if you want, I can lend you a hand for any future recordings with the most awesome instrument ever. This is awesome. Keep up the great work. Just curious, what are you using as recording equipment? Very cool! I really enjoyed the arrangement! It’s funny you say that, because there are already 4 of the best instruments ever in the recording already. Thanks! I’m using really hi-fi equipment, mmhm, namely the pinhole microphone built into my laptop. Now that’s audiophile hardware right there! Thank you! If you want more, feel free to buy me a new sound card! They’re only $200, haha! Pocket change for you, I’m sure. Many thanks! It gives all that toiling I do on Sibelius worth it knowing someone out there likes my work!